The film was commissioned from British Transport Films, by the British Railways Board Signal and Telecommunications Department in consortium with all the manufacturers of equipment used on the system and was released in 1974. As a result, many of the functions of TOPS are glossed over in the film which only shows its application to wagon load freight. The major focus is on the telecommunications network and the equipment used within it. 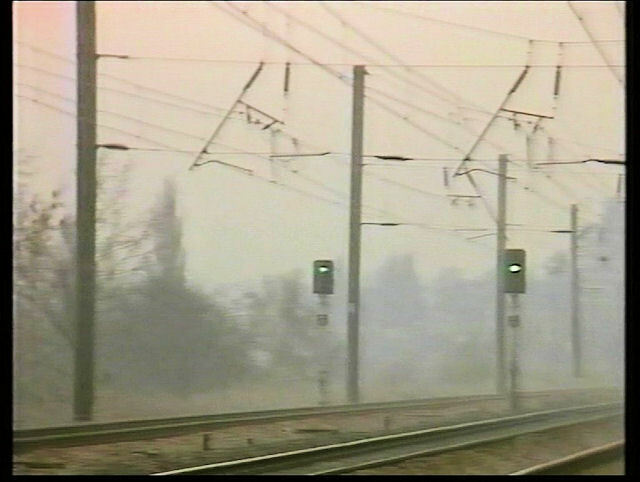 The custody of British Transport Films has passed to the British Film Institute who have gradually released films on video for public sale. 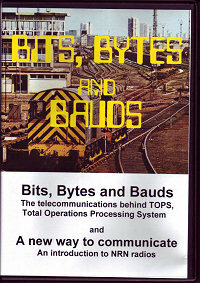 'Bits Bytes and Bauds' is probably of little commercial interest and unlikely ever to see the light of day. Fortunately this print of the film was discovered in a railway office in Reading as it was being cleared. 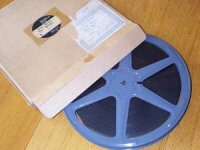 So this edition has been digitised privately for DVD by the National Motor Museum Film & Video Service. It will be of particular interest to those who were involved in TOPS. 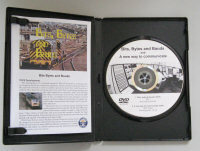 A professional-looking DVD was prepared in 2008 which also included the video, 'A new way to communicate' made as a training film for users of the National Radio Network handportable radios. 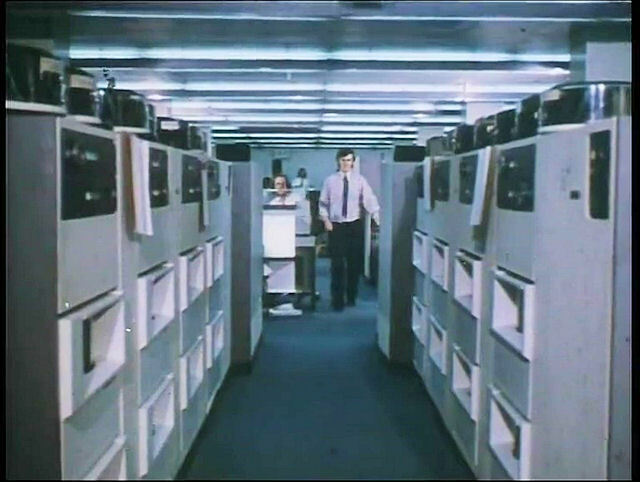 Also on the DVD for computer users were a number of files with more information on the hardware and various pictures collected during the preparation of the disc. The initial run of 50 sold out fairly quickly. This was a non-profit venture and the surplus money was donated to the Railway Children charity. Because of the unexpectedly high demand, the amount raised was £110 and I sent a cheque for that amount in early February 2009. Kaye Brindle at the Railway Children wrote to say, "Thank you so much for your very generous donation of £110 being the profits from your video sales..... With your help Railway Children were able to help 25,571 children worldwide last year." There were some subsequent sales during 2009, 2010 and 2011 and I have sent further donations as each order was received. Devised by Southern Pacific Railroad in the US, TOPS was adopted by British Rail in the 1970s to improve the efficiency of its rolling stock fleet. The film starts with a brief outline of how TOPS is used to control freight movements and this is followed by a detailed exposition of the hardware and telecomms behind the system. NRN, the National Radio Network was introduced by British Rail in the 1980s to aid trackside and driver to shore communications. The film starts with dramatisation of how the system can be used by rail staff on the trackside. This leads on to a guide to the use of the handportable radios applied to the scenario seen at the beginning. I have made the video files and still pictures available on my Google photos pages. Annoyingly, Google+ reduces the definition of the video files. If you want the full size use the direct links below. If you download the video and booklets I should be grateful if you would also make a donation online to the Railway Children charity. Here's a direct copy of the file. If you have a browser that supports HTML5, then you can watch it by clicking the play symbol. Otherwise, download the file with a right click.